WHAT ALLERGENS LIVE IN CARPET? While dust doesn’t exactly ‘live’, it does indeed accumulate in your carpet’s fibers over time. Dust that is found in the atmosphere settles in your carpet and attracts pests and organisms that like to live in dusty environments. On its own, dust can lead to respiratory issues. 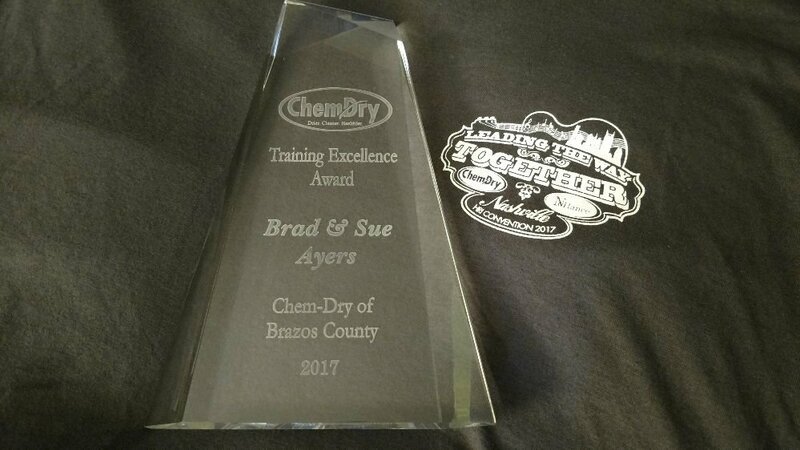 Coupled with these organisms, it becomes an immediate health risk that needs to be addressed with some thorough professional cleaning. Remember, vacuuming is not enough when it comes to dealing with dust. In fact, vacuuming to remove dust can be counterproductive as it tends to bring the dust to the surface and into the air, only for it to settle deep into the carpet later. They’re not easy to see or catch, but you can be certain there are dust mites in your home. These are tiny organisms that thrive in warm and humid environments. Dust mites are found in pillows, furniture and carpeting. 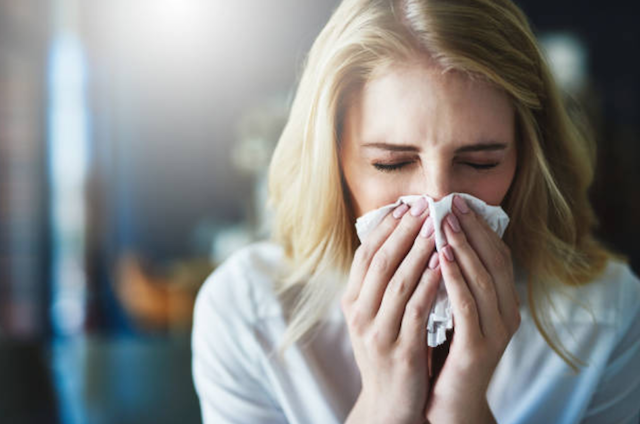 They’re one of the most common causes of allergies in a household, and this is because besides living in these areas, they also circulate around in the air you breathe. While your garden is lush and relaxing, it is also a source of pollen. Pollen makes its way to carpeting through open windows and doors. If you are allergic to pollen, you will notice your allergies acting up during the pollination season. You can prevent this by ensuring none of the pollen makes its way to your carpet. And if it does, clean it thoroughly to avoid dealing with allergies during the season and after. Mold is one of the most dangerous allergens that can ever exist in your home. In small quantities, mold can irritate your allergies. In large quantities, mold makes your immune system vulnerable to infections and illnesses. The bad news is that mold can quietly grow under your carpet without your knowledge. Regular cleaning will ensure that any mold spores growing in your carpet are eliminated before they can grow into a full-blown mold problem. Pets are so lovely and adorable, but that doesn’t stop them from being a major source of allergens in a household. Cats and dogs shed their fur and dead skin cells onto carpets. Once this settles deep into the fibers, it requires thorough cleaning to eliminate. Simple vacuuming only serves to unsettle the dander, leaving it suspended in air for a long time. Clearly, a dirty carpet is not something that should be in a home that is inhabited by humans as it poses great danger to the occupants’ health. It is important to regularly clean your carpet using professional cleaning services. A professional clean ensures your carpet is deep cleaned, which eliminates most of these allergens lurking in your carpet. 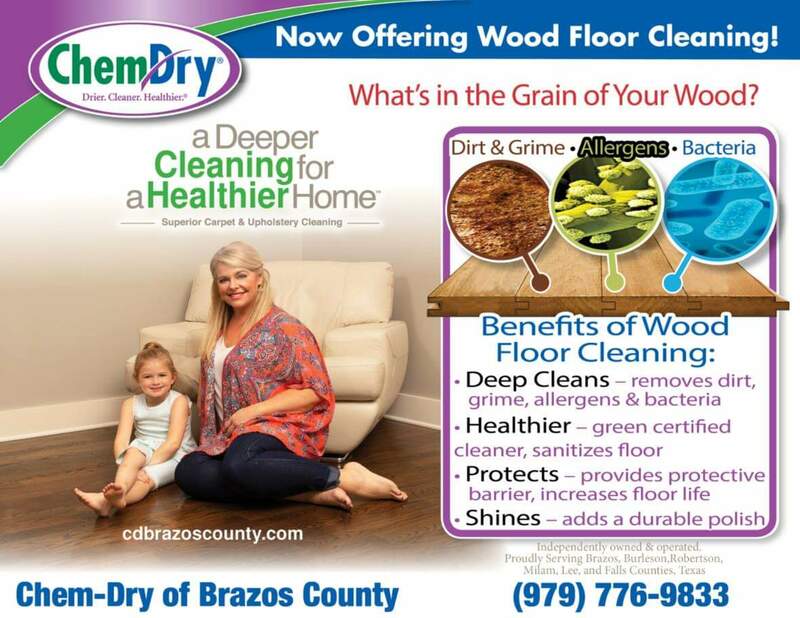 Chem-Dry of Brazos County in College Station offers carpet cleaning to remove allergens. 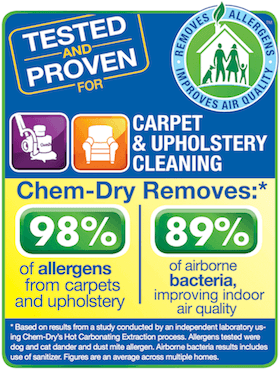 Our service removes over 98% of allergens from carpet and upholstery for a healthier home! Learn more here.